Need a pop of color with your outfit? 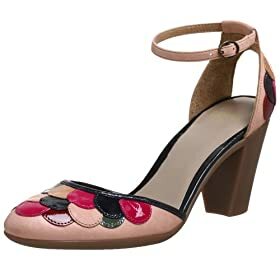 Try these Cindy Says Audrey Peep Toe Pump from Amazon.com. A great square toe and 4″ heel looks sharp with those slightly too long pants that hit the top of your foot, and look great that way. Posted by Style Chicks / Filed In: Shoes! I’ve been in a pink shoe mood recently (well, not just recently…), and these BCBG MAX AZRIA Women’s Natalya Sandals are great for this one day it’s boiling, one day it’s a bit chilly time of year. They have enough coverage for milder days, and open enough for hot days. Plus, the mid-blush/pinkish beige color is neutral enough to go with most outfits. Find them at Endless.com . I like beautifully saturated pinks. 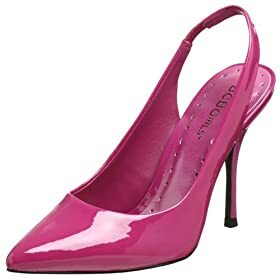 I like slingbacks. I like 3 inch heels. 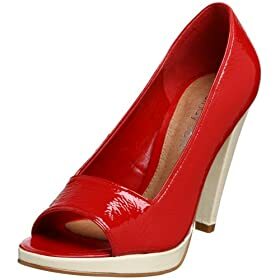 I definitely like BCBGirls Women’s Alimie Pumps in Crushed Berry Patent. Since Earth Day is this Wednesday, let’s take a look at a pair of shoes that are made with eco-friendly materials. Camper Shoes makes all their pairs eco-friendly, and I really like their Camper Women’s Twins Pump . The 3″ heel is pretty comfortable looking while still adding some decent height, and the pink polka dots are pretty fun for Spring. It’s OK. I’ll wait until you can breathe again. 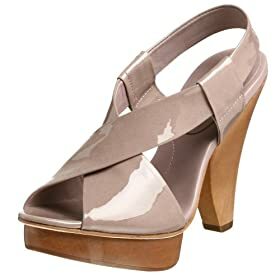 I couldn’t breathe either when I saw these Casadei Blush Suede Peep Toe Sandal Shoes with Bow .